China has been known as the source of many incredible inventions that have revolutionized many industries and have had an impact in today’s world as we know it. 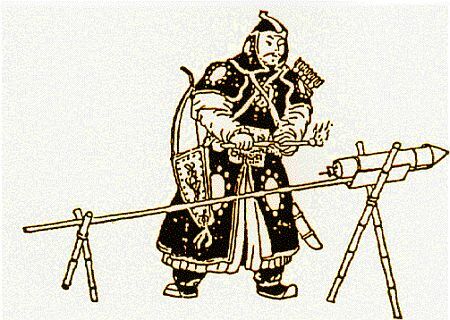 The ancient Chinese community invented a number of technologies in the field of mechanics, mathematics, hydraulics and many others. These inventions, especially in mathematics have been applied to metallurgy, agriculture, horology, astronomy, music theory, nautics, war and engineering. Different periods of progress have resulted in rich and varied inventions. For instance, the inventions during Renaissance period and the 20th century inventions have resulted in tremendous progress for mankind. Similarly, the ancient Chinese made amazing advancements in a multitude of areas. Early inventions in China were influenced by current events and occurrences. The warring States period of between 403 – 221 BC saw advancements in metallurgic technology, while the economic growth in Chinese states gave way to inventions such as paper money. By the 10th century, gunpowder had been invented. This invention brought in different tactics of war and how war was conducted in general. The compass came as a breakthrough in the field of navigation and travelling for both land and sea. This followed the sternpost rudder that was earlier invented for navigation in high seas. By 11th century, sailors from China had travelled to as far as East African and Egypt via the Red Sea. Inventions in China have been present since the Neolithic period of 7000BC according to artifacts and records on Chinese history. Some of the earliest inventions of Neolithic China include rectangular and semi-lunar stone knives, hoes and spades. Agriculturally, cultivation of millet, soybeans and rice was practiced. Other inventions that arose in ancient China include the potter’s wheel and equipments within the field of pottery. Scientific theories also suggest that the plow led to improvement in agriculture and crop production among the Chinese civilization between 1600 – 1050 BC. The later inventions of the heavy moldboard iron plow and the multiple-tube seed drill highly improved the agricultural output in China to a population-sustaining level. Of all ancient Chinese inventions, four stand out as breakthroughs in their respective industries. These are paper, gunpowder, Printing and the compass. The paper making industry is said to have been established in 105 by Cai. In the process, a mixture of mulberry tree bark, old linens, fish nets and hemp was boiled, and then pounded into a paste. This was then stirred with water. A sieve with wooden frame with sewn reeds as a mat was dipped into the mixture. It was later shaken and dried into paper sheets bleached under sunlight. Archeological evidence suggests that the earliest traces of paper, including ancient padding as well as wrapping paper have dated back to the 2nd century BC. The oldest bit of pulp paper making was Fangmatan. By the 3rd century, the use of paper as a basic writing material was quite widespread. This replaced traditional mediums including bamboo strips rolled into scrolls, silk strips, dampened clay tablets that were later hardened in a furnace. By the 6th century, sheets of paper were being used as toilet paper. 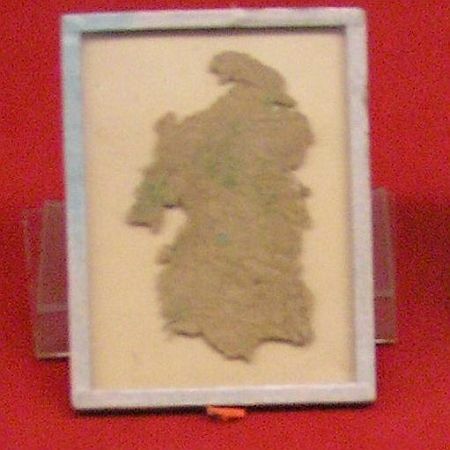 From 618 – 907 AD under the Tang Dynasty, paper was being used for the preservation of tea flavor. It was much later when the Song Dynasty took power, from 960-1279 AD, when paper currency started being issued. The early days of paper may have been humble, but no one knew the impact this would have on mankind during the subsequent centuries. From education, politics, economical revolutions, literary development, mapping, art and much more, paper was indeed a breakthrough in more ways than one. 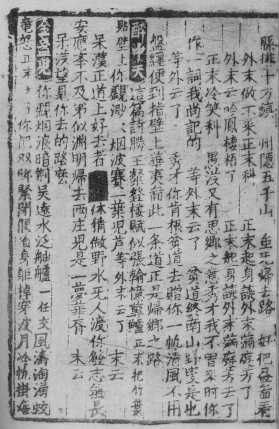 Evidence that gun powder was used in ancient China dates to 618 – 907, with the earliest recipes of gunpowder found in the Wujing Zongyao, a military-based manuscript accumulated in 1044. The formulas within the manuscripts described the use of combustible bombs thrown using catapults from above defensive walls. Larger bombs launched using trebuchet catapults from above naval ships and other war vessels made China a force to reckon with on the battle fields. By the 13the and 14th century, the potency of gunpowder had gone way higher, with an increase in the levels of nitrate up to 91%, and production of advanced weaponry was also evident. There were at least 6 different formulas that are considered as extremely effective in the delivery of an explosion. The invention of the woodblock printing by the Chinese is said to have produced the world’s first print. According to historians, woodblock printing was much better suited to the Chinese alphabetic characters than the movable type that was also invented by the Chinese. However, the movable type did not replace the woodblock. The Western-based printing presses, though introduced much later in the 16th century were rarely used in China. This changed later on in the 19th century. Together with the Korean republic, China was one of the last to adopt western printing methods. In the textile industry, woodblock printing preceded its counterpart, text printing by a number of centuries in almost all cultures that adopted the art. It was first found in China around the year 220 and it is estimated to have reached Europe by the 14th century. By the year 1400, it was being used on paper for a number of purposes including playing cards and old master prints. Back in China by the 11th century, artisans invented the movable type of print for ceramics, wooden and metal print. The movable type of print proved to be quite tedious when one was dealing with the assembly of thousands of individual characters for printing simply a single or a few books. However, it came out quite efficiently when dealing with thousands of books and was therefore employed for such tasks. Today, though highly replaced by western printing techniques, there are a number of isolated communities around China that still apply the woodblock movable type of printing mechanism. Magnetism in Chinese literature has a number of references dating back to the 4th Century BC. On the other hand, the earliest reference of a magnetic device applied for finding directions is found in a book that dated to 1040 – 1044 AD. It indicated a description of an iron that floats on a bowl of water and it aligns itself to the south. It was later in the year 1088 AD that the first suspended magnetic needle compass was put down on records. For the better part of Chinese history, a needle floating in a bowl of water was used when it came to using compasses in telling directions. 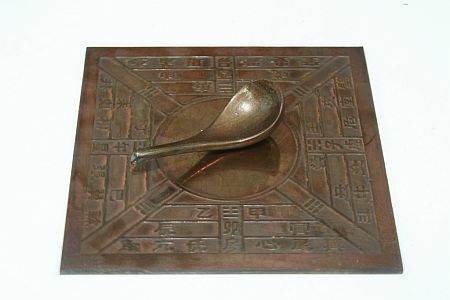 There was also the use of dry compasses later on, although this type of compass was not as widely used as compared to the wet compass throughout China. The dry compass back in ancient China was made of a wooden frame that was designed in the shape of a sea turtle and then hung upside down from a board. There was a loadstone that was sealed in using wax. If rotated the needle placed at the tails would stop, pointing at the northern cardinal direction. The design of the suspension-based dry compass was widely adopted for navigation especially at sea, well into the 17th and 18th centuries. The above are four of the most celebrated achievements that the Chinese made. There are several inventions that had incredible impacts on their respective industries as well. Historians suggest that the Chinese initiated crop planting in rows somewhere within the 6th century BC. The technique enables the growth of crops to be much faster and with healthier results. Similarly, the organization of crops in rows facilitates for improved watering, planting, weeding and harvesting. According to the Chinese, wind is also less destructive when it travels over rows of crop on the farm as opposed to earlier forms of planting. The art of crop planting in rows was not adopted by the western world for another 2200 years. By the 1st century BC drilling of boreholes had been made possible using by the Chinese. Some of the created deep drills could reach incredible depths of 4800 ft, and equivalent of 1.5km. The constructions used technology that could be easily understood by all persons irrespective of know-how or level of knowledge. An average deep drill would be made of a derrick which is the main pillar going up above the ground, a hoisting equipment, a drill string, drill pipes and a power source, all of which sit above the ground. Below the ground would be a continuation of the drill sting, a blowout preventer, and a collar that runs across the drill string and a drill bit and the edge of the sting that runs down when digging. Derricks would go up to a height of 180 ft above ground level. Rocks with center holes were stack down to the stone layer as a form of guide for the drill. They used drills made of cast iron to make their way to natural gas which they used as fuel. This was used to evaporate water that was locked in brine, and this would produce salt. The gas would then be transported via bamboo to the necessary location. The gas was used for lighting. The deep drilling technology wasn’t used in the western world until the 1820’s in West Virginia. Naval technological advancements in China happened much earlier than those of the western world, though the results were more or less the same. The earliest recorded use of the radar technology in the west was in the year 1180. On the other hand, pottery models from China with axial rudders have been found and these date back to the 1st century. The rudder technology dating back to 100 AD is said to have also included the much easier to use balanced rudder that was first put into use by the English in 1843 (About 1700 years later). Fenestrated rudders were also developed in China for navigational improvement. Fenestration is the process of adding holes to the rudder in a way that steering is not affected, but the rudder becomes easier to turn. By the 13th century, fenestrated rudders had been quite common in China and came as a new form of naval technology. These on the other hand saw the light of day in the west around 1901. Harnesses for horses have been used worldwide to harness a horse or a number of horses to a cart. The harness is designed to press back on the horses back in a way that the full strength of the animal is limited. There are pictorial evidences and diagrams that show a horse and a wooden chest yoke that according to historians, originated from China during the feudal period around the 4th Century BC. Later on, the yoke was improved and was made using softer straps. The horse collar was later developed later on in the 5th Century. This improvement was introduced in Europe much later in the year 970 and was widespread 200 years later. Horses were very much preferred to oxen due to their high speed and endurance. Porcelain is a type of ceramic that is produced under the high temperatures of a kiln. When exposed to high temperatures, the materials fuse to form a mineral and glass compound that is known for its beauty, strength and translucent nature. It was invented in the era of the Sui Dynasty and perfected later on. Chinese porcelain was valued highly throughout the world. By the years 960 – 1279, the art of making porcelain had reached its climax. In the year 1708, European porcelain was invented and this ended the Chinese monopoly.